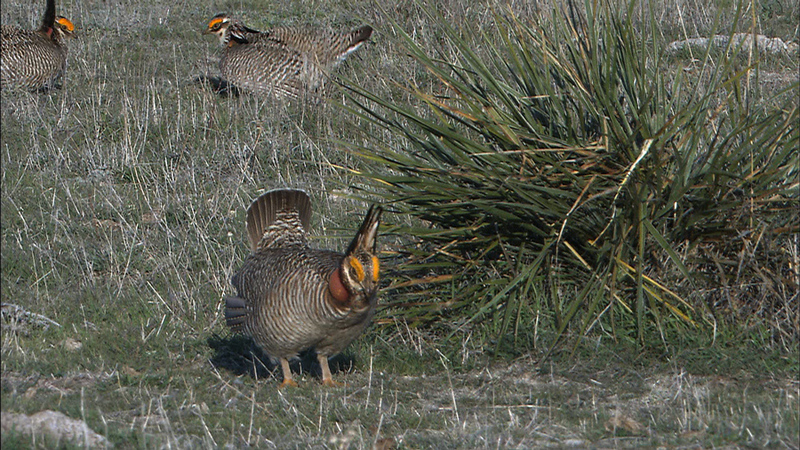 The Lesser Prairie Chicken (Tympanuchus pallidicinctus) is restricted to short grass prairie and its decidedly different mix of grasses and forbs. 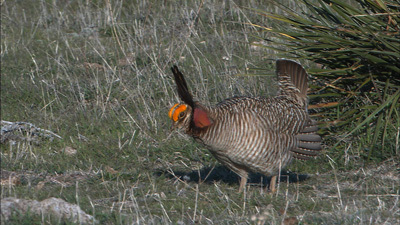 Its range is now remnants of this ecosystem found in southwestern Kansas, southeastern Colorado, the Oklahoma and Texas panhandles, and a small area of eastern New Mexico. 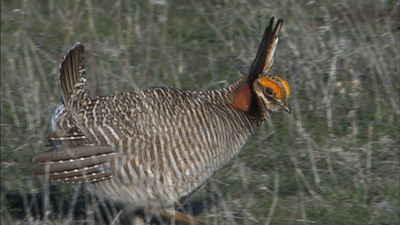 It is slightly smaller, paler, and less heavily barred than the Greater Prairie Chicken and the inflated neck sacs shown during courtship are orange rather than yellow.